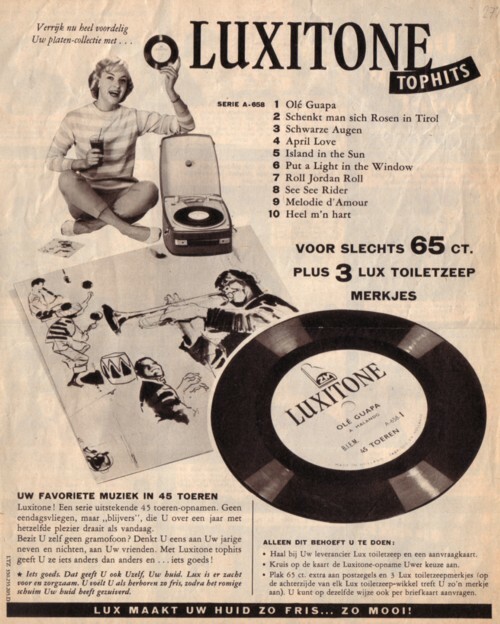 Another Dutch advertisement record label is Luxitone. 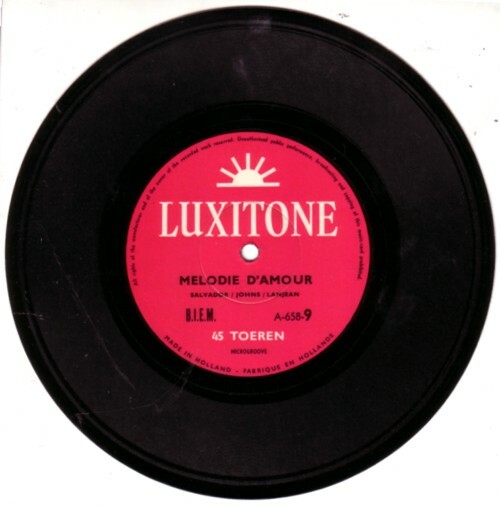 Yesterday and the day before yesterday, I called the music released on the Royal Disques and the Noratoon label crap, but compared to what is to be heard on the Luxitone records that music is gold. 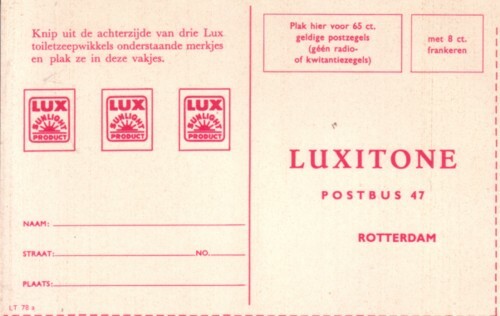 People had to cut out three labels from the Lux toiletsoap package, stick these on a special postcard and add 65 cents worth of extra stamps, send it to PO Box 47 in Rotterdam, and then they received a extraLuxitone record*. 65 cents was an astronomical amount of money in those days; the postage for a postcard was only 8 cents back then! Not only are this not the kind of songs that make my heart beat faster, it are all cover versions, of course. The names of the musicians are not mentioned, but I am pretty sure that they are Dutch. 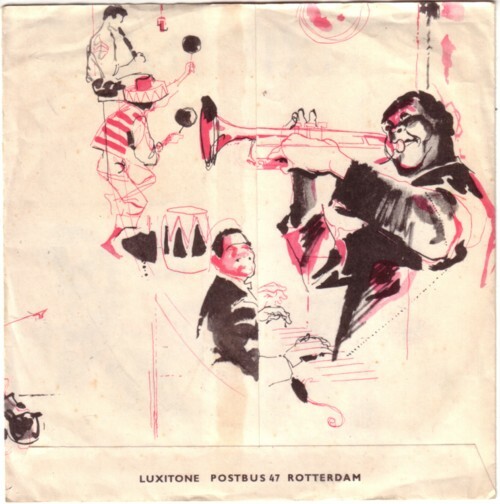 what is very straneg about the Luxitone records is that they all seem to play to slow. The records and the ad say that they have to be played at 45rpm, but to my ears they sound better at 78rpm. Does this mean that all the ten records were made in two versions?! And how about the remark on the back of the 6 inch record that these ten records are only the first series?! Questions like these keep me awake. 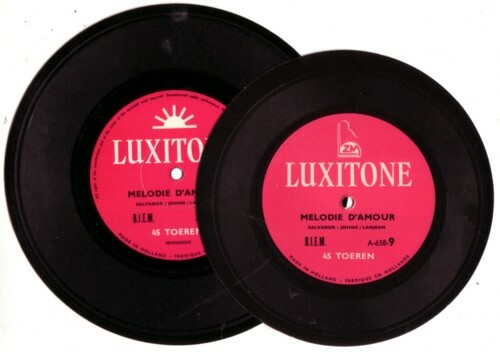 But the worse thing is that I have only eight of these Luxitone records!!! After all these years of record hunting I still miss #3 and #10. 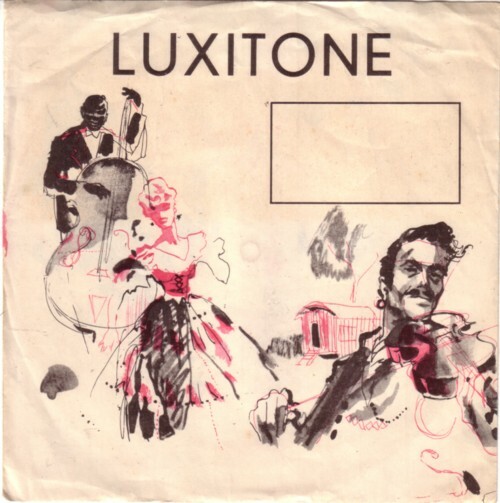 And I since I have never met anybody who shared an interest in the Luxitone records, it will be a real problem to make this collection complete. Here is one of the records, probably the least worse song, but with two records missing in my collection, I am not the one to make statements like this. When looking for info I came across your webpage. I am selling old records to make room for others oof course.I have two off these Luxitones in my posession nrs 2 and 3. Interested? People who liked german songs at that time….